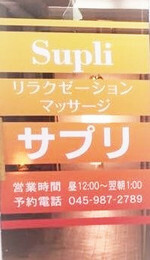 Thank you very much for coming to Supli Totsuka. How was your Christmas ? Did you enjoy that? Anyway, another new week started. Please come and visit us, when you were feel some tiring or NOT !